Soplely Mill is an 18th Century water mill with lovely views of the Avon water-meadows, a lovely garden and very atmospheric period interiors. 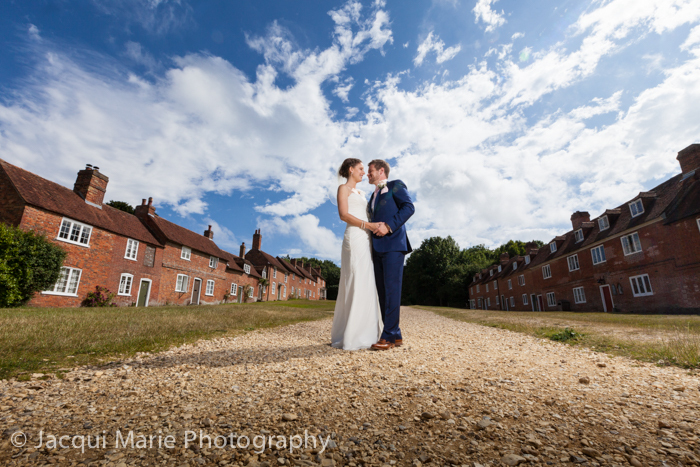 Soplely Mill is intended to be a “blank canvas” for a couple who want to organise their own day, appointing their own caterers, planners, etc. to get the right combination for their perfect day. 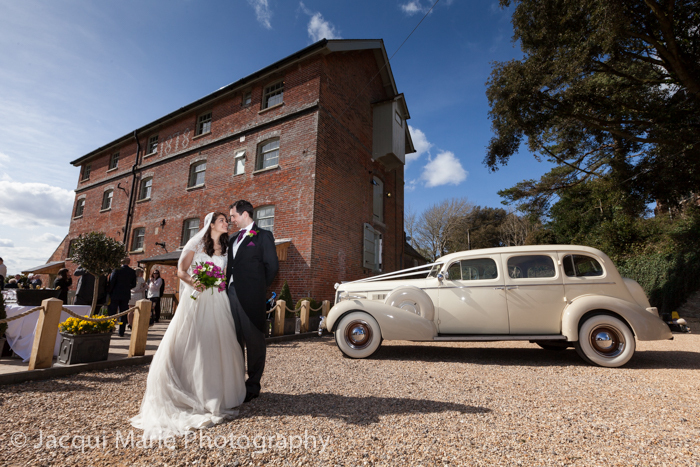 There are several floors to the mill, the top floor being used for your meal, the middle floor used for your ceremony (if they have been registered now) and your evening party, and the lower floor open for your guests to roam in and out during the day whilst having canapés etc. It is a wonderfully secluded wedding venue with great views and with an enormous amount of flexibility. It has a lovely garden, plenty of parking and is very atmospheric. If the weather is good enough for guests to spill outside, this is a fabulous venue. If the weather is poor there are not many good options for large group shots inside but this wouldn’t matter if you intend to have your ceremony somewhere else and can do the group shots at your ceremony venue. This is a very nice Summer wedding venue and well worth a look if you want plenty of control over your day. Fort Nelson is situated on Portsdown Hill just North of Portsmouth and is easy to get to from the M27. 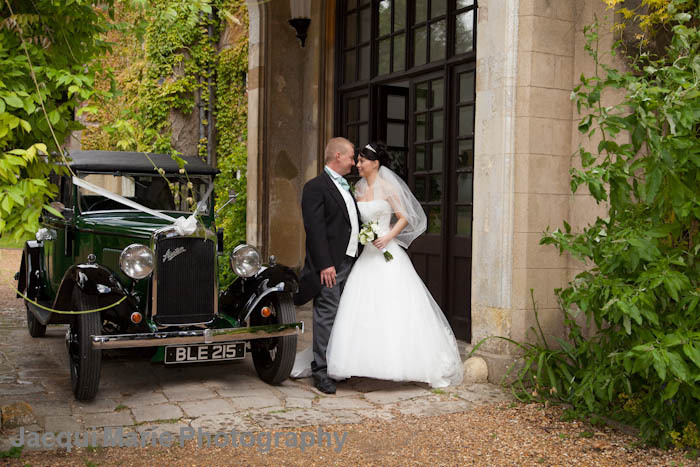 There is plenty of parking and this is definitely a venue worthy of consideration for any couple who what something a little unusual or something with a military flavour. It is one of the 19th Century brick built so called Palmerston’s Follies built to fend off another French invasion but it is now home to the Royal Armouries Museum. The ceremony room is intimate though a slightly odd shape, having two aisles that meet where the couple stand but it works well enough. Celebration drinks are either served outside in a courtyard which is sheltered from wind but is still open to rain, in which case drinks are served in one of the museum rooms which is very pleasant and the exhibits are very interesting. 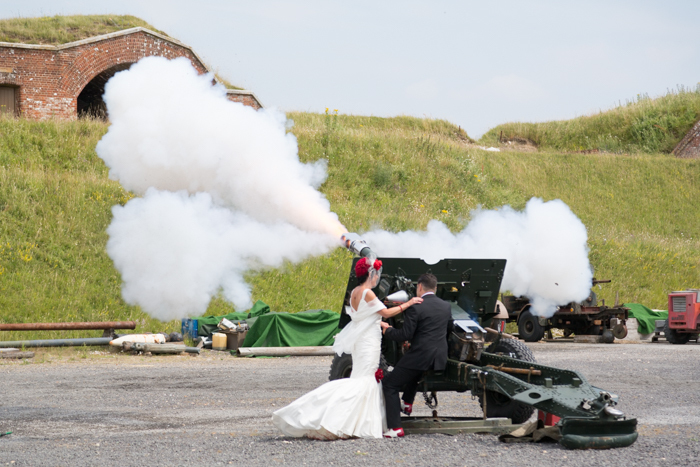 At some point in the proceedings it’s normal for the bride and groom to fire one of the museum’s field guns which, we are told, is thoroughly exhilarating. 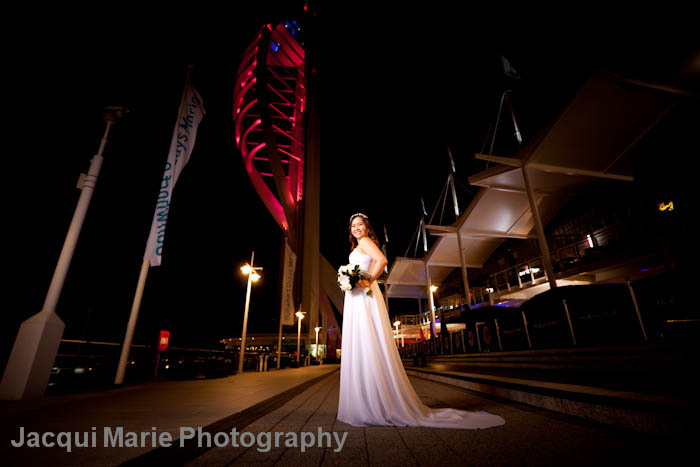 The bride and groom and their guests are welcome to wonder around the Fort and take in what the museum has to offer. Some couples will then leave for another venue for their Reception meal but if you wish, Fort Nelson may also be used for the Reception meal and evening party. The walk across the parade ground to fire the gun can be windy and is a little dusty and you may have more fun here in the Summer than in the Winter but Fort Nelson is a real venue with a difference and well worth a look.